Like Christ, we have come from a spiritual state, a spirit that is made of refined and pure matter, perhaps even glorious matter, to an incarnate state, a body which is carnal, imperfect, and exhibits corrupt qualities of mortal flesh. Moreover, we have the veil placed over us, so we cannot remember the past. These things suppress our true identities, who we really are, so that we might gain from this probation the experiences we need. But who are we deep down? We are children of God. That is who is at our core. God is our father. That is who we truly are if we are to step outside Plato’s cave into the light of the sun. Most of the time we only see the shadows on the wall. If we were to see, if only for a moment, what it really means to be a child of God, I think we would be awe-struck. Like the Greeks thought their demigods such as Hercules were the offspring of God and were elevated, powerful beings, so too are we, as children of God, more than the animals and other creatures we find ourselves with. Each and every one of us is a dazzling, radiant, immortal being, underneath this mortal flesh. We are God’s offspring, with the potential to become like Him. We too have glory, if we will let our light so shine (Matthew 5:16; 3 Nephi 12:16). We may not be able to see it today, but some day we will. Thanks for this post Bryce. You may be interested in researching Brigham Young’s statements about “identities” and preserving those identities through future states of existence. Also, the reference to Plato’s Cave reminded me of some of Nibley’s writings about existence, forgetfulness, etc. Much too much for a simple comment to a post. But thought you might be interested in them. Bryce, what’s the source for those Lewis quotes. They’re awesome! There have been and still are real cultures which shut out the world and keep their people in ignorance. I remember reading about the people in an Oriental culture (maybe Tibet?) where the children grew up in total obedience to their elders. It remained that way until satellite images came in and presented the real world, then the teens rebelled. In America, we have a similar situation in Amish and Mennonite religions–the subject of a current TV reality show. Once the young people get a taste of and choose the outside world, they are cut off forever from their family. Anyone can be taught what is right or wrong in one’s own culture–but what is right and wrong in an eternal perspective is the only thing that really counts. In Plato’s Cave, it is surmised that when one sees another view, he will choose that which is most familiar and feels safe. What is missing in this philosophical musing are two very important eternal principles: 1) we need a choice between two opposing things and 2) we need to be taught in such a way that we know how to recognize the divine seed within which will testify of the right choice. In the world of Plato and Socrates, I rather suspect that the spirit of man was not taken into consideration. So, how far could they really surmise what a man would do? They were seriously handicapped by dealing only with mental exercises. Such is the life of those who think they are learned! Yes, our true identities are suppressed for a brief moment, but great effort is made to have us taught who we are and from whence we came. I am one of those—an adult convert. How grateful I am that the Lord relocated me from the Midwest (we were Methodists) to Arizona and then placed missionary-minded friends in my path. I resisted at first and wanted to stay in my comfort zone, but the testimony of the Spirit was too strong and I could not deny it. I left my family at 19 and for several years, thought I had been cut off forever. It was a horrible experience with great reward, if that makes any sense. Eventually they took me back. I cannot bear to watch any movies, TV about the Amish and Mennonites or about slaves held in ignorance. It was really upsetting for me to read Plato’s cave. My favorite book is “Lectures on Faith” — I use that in teaching people more than any other reference outside the scriptures. I love to teach; I have the missionary fire. There is so much to learn and I take great joy in seeking out the knowledge. I am so grateful that we have been given so much “extra” in ancient religious manuscripts and a Hugh Nibley who put them in an eternal perspective for us. We always need to consider both our halves (mental and spiritual) in seeking our true identity. Who we really are is an eternal intelligence given a spirit body by Heavenly Mother and Heavenly Father housed in a physical body given to us by our earthly parents. The veil of forgetfulness stops us from remembering what we know and knew before we came to this earth. It also stops us from remembering who we are eternally and were in the pre-earth life. 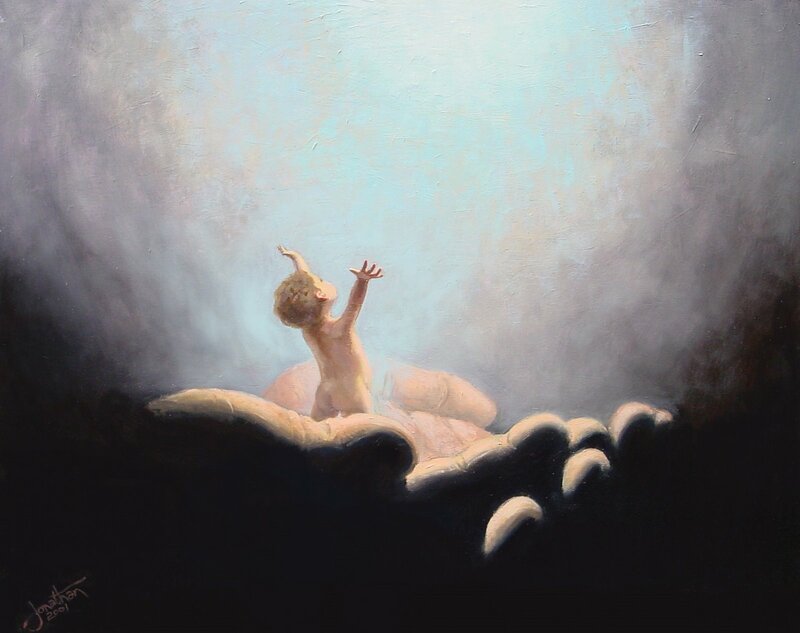 We are god embryos with every attribute that God possesses, and many of us reached godhood, as Jehovah did, in the pre-earth life (Psalms 82:6). Our job on earth is to live up to the integrity and faith we brought with us to this world, or the live the law that is our being, to live up to the covenants we made with God in the pre-earth life (Alma 13:1–5).